As speculation swirled around May's future, Parliament prepared to try to take control of the Brexit process from the government in a series of votes due Monday evening. May's divided cabinet of senior ministers met during the day to discuss a way forward, May's spokesperson said, though contradictory reports of the discussions — which are supposed to remain private — were swiftly published on Twitter. "We will only bring the vote back if we believe that we would be in a position to win it," May's spokesperson said, declining to comment on whether it would take place on Tuesday. Corbyn and May met for more than hour in Parliament and had a "frank and comprehensive exchange of views," the spokesperson said, adding that Corbyn did not accept May's suggestion that the withdrawal agreement exit deal could be separated from the declaration on the U.K.-EU future relationship. May had to delay Britain's original March 29 departure date because of the deadlock in London. Now, the country will leave the EU on May 22 if May's deal is approved by Parliament this week. If not, Britain will have until April 12 to offer a new plan or decide to leave without a treaty. Days before March 29, British ministers and lawmakers were still publicly discussing an array of options including leaving with May's deal, with no deal, revoking the Article 50 divorce papers, calling another referendum or going for a closer relationship with the EU. 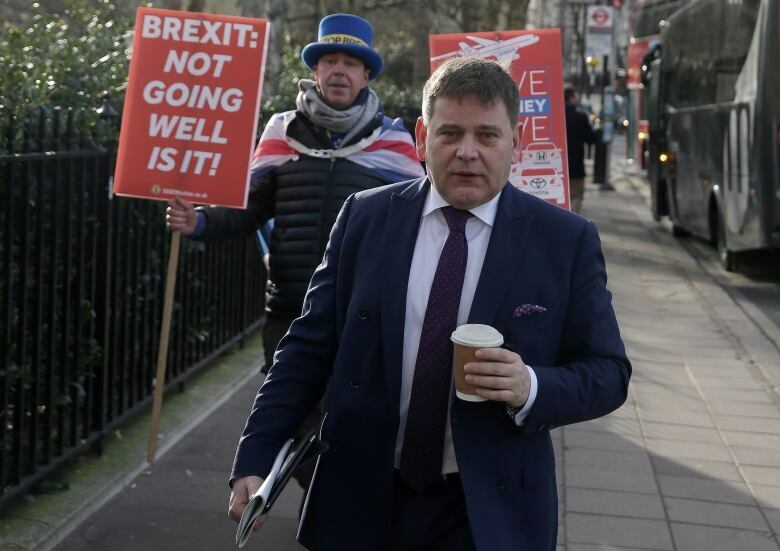 "The prime minister does not have the confidence of the parliamentary party," said Andrew Bridgen, a Conservative lawmaker who supports Brexit. MPs were expected to vote on possible ways forward on Monday. Conservative lawmaker Oliver Letwin's amendment seeks to change the rules of Parliament on March 27 to provide time for lawmakers to debate and vote on different options.